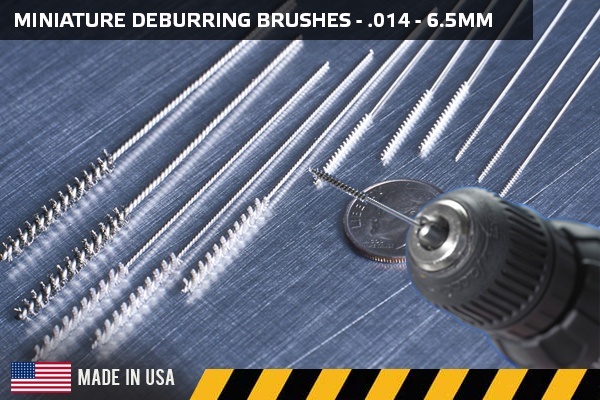 Miniature deburring brushes help keep small-diameter holes from becoming big-time finishing problems. These miniature metalworking tools remove small burrs that can cause part misalignments. They also perform internal cleaning and produce the proper edge radius on machined holes with small diameters. 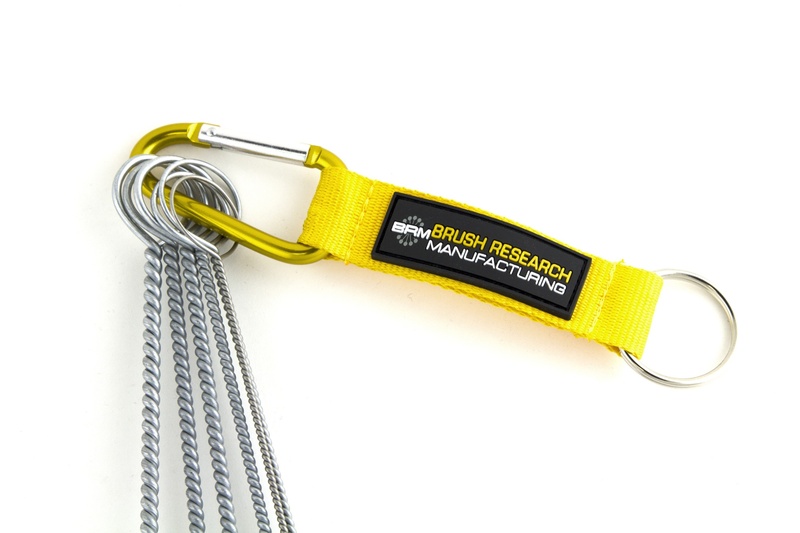 Brush Research Manufacturing (BRM), maker of the Flex-Hone® tool, supplies different types of miniature deburring brushes. These tools can be driven by hand or used under power, but there are some basic operating instructions that you need to follow. Here are some tips for selecting and using these tools. 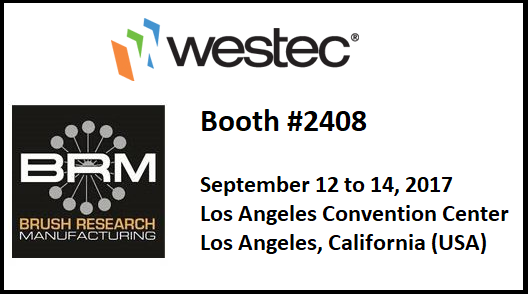 Brush Research Manufacturing (BRM), maker of Flex-Hone® tools and NamPower technology, will exhibit at WESTEC, the West Coast’s premiere manufacturing tradeshow. From September 12 to 14, BRM will showcase surface finishing and deburring tools in Booth #2408 at the Los Angeles Convention Center. When you visit BRM at WESTEC, you’ll see videos of our products in action. You'll also have a chance to talk to our technical team. If you bring us your part drawings, we’ll recommend the right BRM tools for your application. There are plenty of reasons to visit BRM at WESTEC, but here are four you won’t want to miss. Which Wire End Brush Do You Need? Wire end brushes are power brushes with metal filaments that can reach small, tight, and hard-to-reach spaces. They’re great for cleaning, blending, polishing, deburring, and surface finishing recessed areas. Applications for these power-driven brushing tools include cleaning parts, polishing dies, and removing carbon deposits from cylinder heads and valve seats. For brush buyers and users, choosing the right type of wire end brush means asking and answering a series of questions. Which filament material do you need? Do you need a tool with a standard or banded body, or a brush with a protective coated cup instead? You’ll also need to choose solid wires or knotted wires, or select a circular flared brush. Which Wire Cup Brush Do You Need? Wire cup brushes are cup-shaped brushing tools with carbon steel or stainless steel filaments. Part manufacturers and machine shops use them for surface preparation, deburring, and surface finishing. Applications include rust, paint, and weld scale removal. Wire cup brushes are used for metal cleaning and edge blending, too. A type of power brush, wire cups can feature an arbor hole to support their attachment to grinding tools. Different types of wire cups are available, but tool selection isn't just about filament material, which is a function of the workpiece. 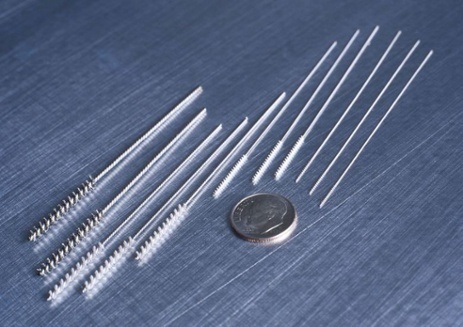 To choose the right wire cup brush, you'll also need to understand the differences between crimped wire and knotted wire filaments. Brush diameter, wire size, and trim length are important to consider, too. Tube brushes are industrial brushing tools for cleaning the inside of holes and other hard-to-reach areas. Applications include removing chips, dirt, oil, rust, and corrosion. Filament types vary, but include stainless steel, carbon steel, brass, nylon, and natural bristle. Brush Research Manufacturing (BRM) supplies many different types of tube brushes, but Series 84 tools are a great choice for cleaning through-holes. These ring-handled brushes are built for manual use, but the rings can be cut-off to allow these tube brushes to be power-driven. No matter how you use them, Series 84 tube brushes get strong results when you follow these three tips. End brushes are industrial brushing tools for tight, recessed, and hard-to-reach areas. Applications include cleaning molds and welds, polishing dies and internal cavities, and removing carbon deposits from piston heads, engine cylinders, and valve seats. End brushes are also used for deburring and spot facing, and for removing rust, paint, slag, and scale. Brush Research Manufacturing (BRM), makers of the Flex-Hone® tool, is now offering special tube brush kits for internal cleaning, rust removal, and surface preparation. Each kit contains six ring-handled tube brushes in a range of sizes with a carbiner for easy storage and handling. 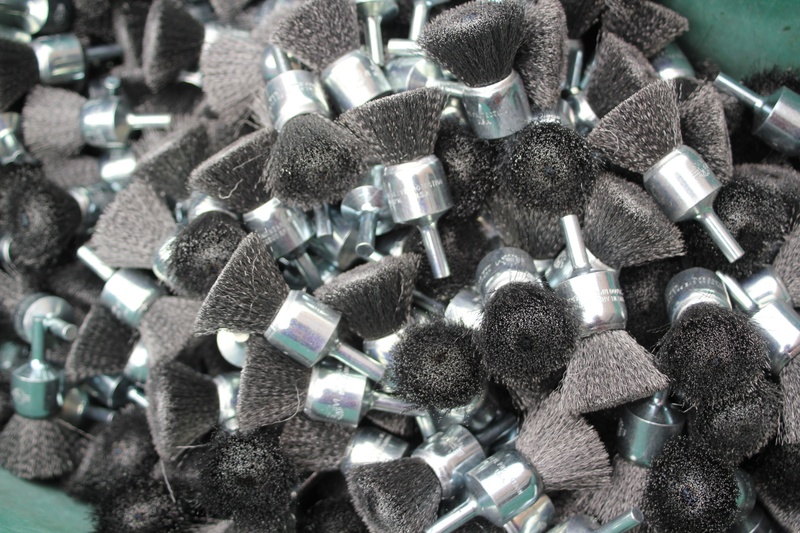 Tube brushes are available in stainless steel, carbon steel, brass, nylon, or natural bristle for use with various base materials. There are three lettered categories of BRM tube brush kits. Kit A is a collection of small brushes for holes with diameters that range from 1/8” to 7/16”. Kit B contains medium-sized brushes for 1/2” to 1” holes. Kit C includes larger brushes for hole diameters from 1-1/8” to 1-3/4”. For complete product specifications and ordering information, download this BRM brochure. Cross-hole deburring can be a big problem for manufacturers of small metal parts, especially when hole diameters are just a few millimeters or a fraction of an inch. Manual deburring is common, but it’s also labor-intensive and can yield inconsistent results. Automated deburring is faster and more uniform, but automation alone isn’t the answer. Manufacturers who deburr small metal parts need more than just the right personnel and equipment. With cross-drilled holes, it’s especially important to use deburring tools that impart a burr-free, high-quality surface finish. As a full-line manufacturer of flexible honing tools and industrial brushes, Brush Research Manufacturing (BRM) has the solution. 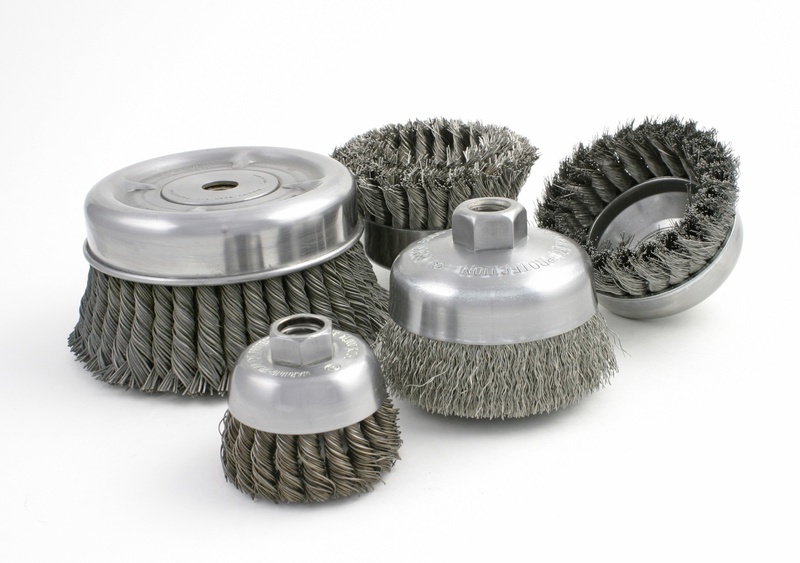 Which Wire Wheel Brush Do You Need? Wire wheel brushes are wheel-shaped brushing tools with sturdy hubs and metal wire filaments. They are used for cutting, cleaning, deburring, edge blending, polishing, and surface finishing. A type of power brush, wire wheels are motor-driven and may feature an arbor hole or keyway that supports their use with grinding equipment or CNC machinery. 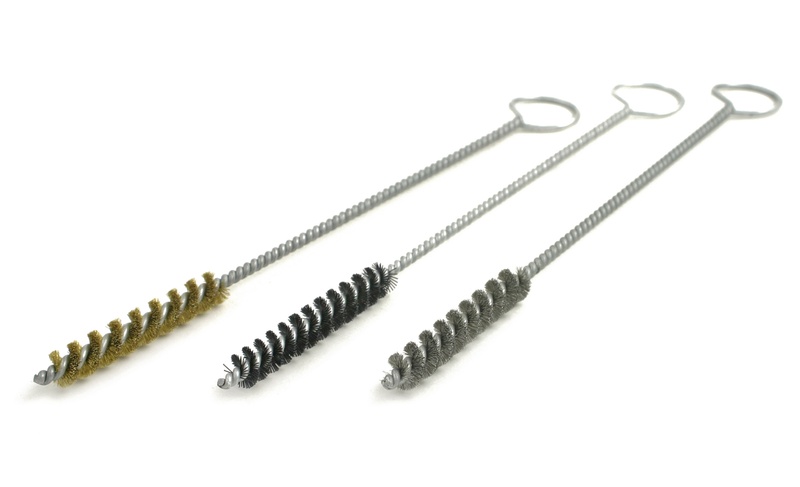 Different types of wire wheel brushes are available, but tool selection begins with an understanding of the basic wire wheel types: crimped and knotted. Manufacturers also need to consider brush tool specifications and their own application requirements.